So… if you follow me on facebook or twitter you might have noticed that we’ve been hitting some storage auctions this summer. The kiddos love watching the shows with the Hubster. Well… last week we bought one! 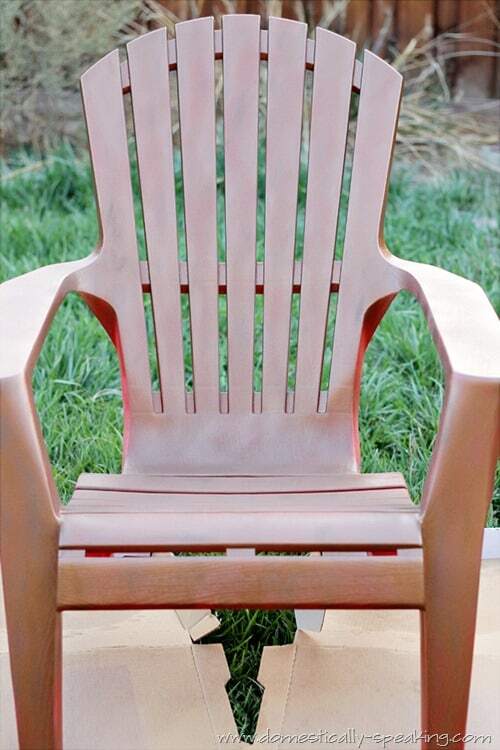 I’ll be sharing soon on all the goodies we got, but one of the items was a set of sun-faded red Adirondack chairs. So, before trying to sell them (or keep them) I figured they needed a little sprucing up. 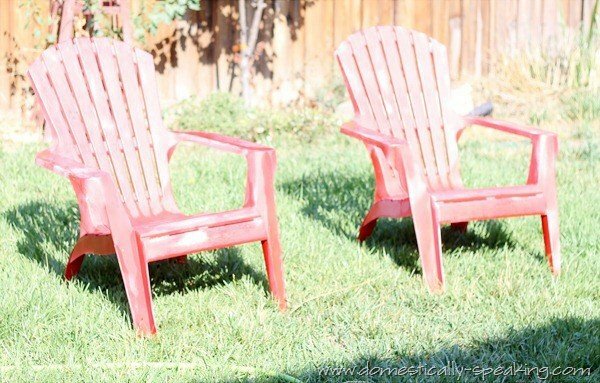 I decided to spray paint them with Krylon’s Fusion in Hammered Copper… but in my rush to get these babies painted (before it was too hot to step outside) I didn’t even think to prime them (DUH!). 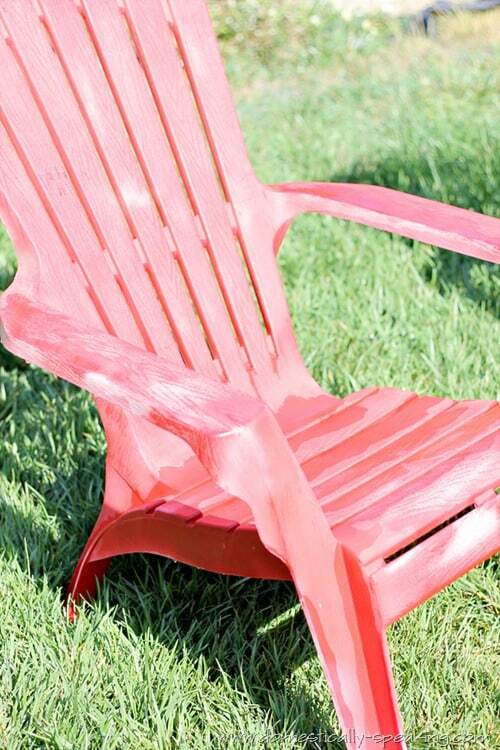 Learn by my example… when covering red… use primer. You’ll save yourself time, effort and you won’t need to use as much of the paint color you’re going for… which means saved $$$. One full can and I didn’t even get one chair fully covered. I do love the color… but I’m in need of another can or 2 of spray paint. Hi Maryann – I have used that Hammered Copper before and it came out great on a client’s breakfast chairs. With your Adirondacks (very jealous…have to say!!) 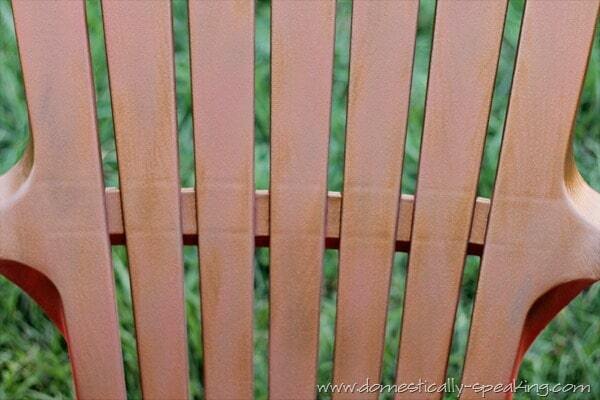 the red underneath will give the chairs a better look that just straight copper. The undercoat usually tempers the final coat…maybe not in spray paint…but when you are doing regular painting. Enjoy that last hoorah at the beach, btw, I’m soooo jealous! I need a vaca! Been a while since I’ve been around, missed all the beautiful things so much! Your chairs are HOT! That is so exciting to go to the storage auction, is it really as crazy as it looks on tv?